For decades, punishments for even misdemeanor drunk driving offenses have grown increasingly tougher, in some cases exceeding the penalties for violent felonies. Behind the increasing penalties is the unproven and possibly foolish notion that harsher and harsher sentences will eventually eradicate drunk driving. Drunk driving laws are so complicated already that attorneys must specialize in DUI to be effective advocates for their clients. As lawmakers, prosecutors, and Mothers Against Drunk Driving pursue ever-tougher DUI laws, they’re also disregarding the damage they do to the Constitution. The problem is the people who are a genuine danger to others on the road. Some of those people chronically and severely abuse alcohol and still choose to drive. The vast majority of injuries and deaths in alcohol-related crashes are caused, not by the many with a single DUI conviction, but by the disproportionately small group of problem drinkers. Identifying these individuals and taking them off the road would do more to save lives and reduce injuries than anything suggested by California’s lawmakers or the leadership at MADD. Since punishment clearly doesn’t work for the problem drinker, those authentically interested in saving lives and reducing injuries need to consider options like isolation, deterrence, and rehabilitation. But until sanity prevails regarding drunk driving laws, if you’re charged with the crime in southern California, you’ll need legal help from an experienced Orange County DUI defense attorney. 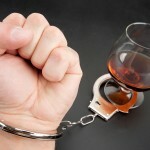 A good DUI defense lawyer will evaluate your case and fight aggressively for your rights. 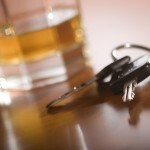 Whether you face a DUI charge now or in the future, the wise thing to do is to contact an experienced Orange County DUI defense attorney as quickly as possible.